Trade unions as a battleground for the minds of workers: Trotsky and the role of the vanguard party. The Italian Communist Antonio Gramsci was not very optimistic about the potential transformative, revolutionary role of trade unions. ‘Trade unionism’, he argued, ‘stands revealed as nothing other than a form of capitalist society, not a potential successor to that society. It organises workers not as producers, but as wage-earners’ (Antonio Gramsci, ‘Trade Unions and the Dictatorship’ (25 October 1919), in SPWI, 1910-1920, p.110). 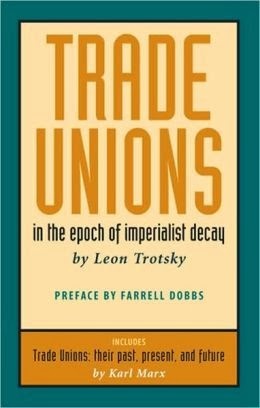 In this blog post, I will critically engage with a collection of Trotsky’s writings on trade unions – Trade Unions in the Epoch of Imperialist Decay (Pathfinder Press, 1990) — to establish whether he was more optimistic about the potential role of trade unions in resistance to capitalist exploitation. At first sight, Trotsky appears to be much more optimistic about the transformative potential of trade unions than Gramsci. Not automatically, for sure, but nonetheless there was at least the possibility that unions would become agents of revolutionary change. This situation was most present for Trotsky in times of capitalist crisis and deteriorating conditions of the working class, when he considered it a possibility that trade unions can ‘transform themselves into revolutionary organizations’ (P.73). At a closer look, however, it becomes clear that trade unions for Trotsky were merely a means towards the end of revolutionary change. Trade unions thanks to their ability of organising large parts of the working class were deemed to be a crucial battleground for the hearts and minds of workers against a reformist and bureaucratic trade union leadership. ‘The primary slogan for this struggle is: compete and unconditional independence of the trade unions in relation to the capitalist state. This means a struggle to turn the trade unions into the organs of the broad exploited masses and not the organs of the labour aristocracy’ (P.50). In other words, while Trotsky referred on the one hand to ‘backward masses, that is, the trade unions’ (P.135), he saw them as a way of organising the whole working class for the revolution on the other. 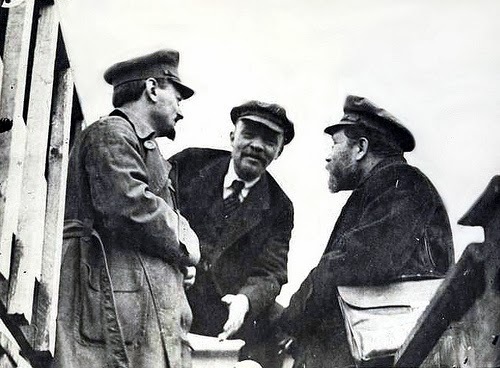 Unsurprisingly, rather than establishing a specific socialist trade union as a rival to reformist unions, Trotsky constantly advocated trade union unity, as this would allow the struggle for the maximum possible number of workers. The crucial role in this struggle within trade unions was given to the vanguard party. There were no doubts in Trotsky’s mind that the vanguard party, the most advanced members of the working class, had to play a crucial role not only in the struggle within trade unions, but also the wider struggle for revolutionary transformation. ‘The task of the Communist Party, correctly understood, does not consist solely of gaining influence over the trade unions, such as they are, but of winning, through the trade unions, an influence over the majority of the working class’ (P.143). 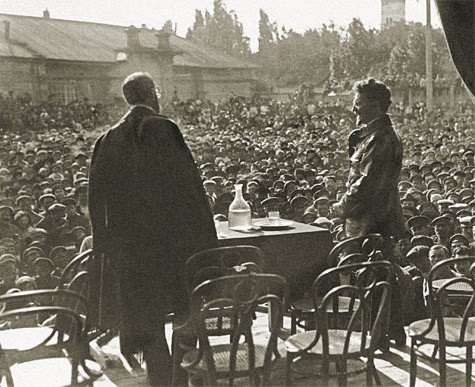 Importantly, in his discussions with syndicalists and their rejection of any links between trade unions and political parties, Trotsky made clear that the communist party had nothing in common with bourgeois political parties of representative democracies. The communist party ‘is not one of the political parties of the bourgeois system; it is the active, class-conscious minority of the proletariat, its revolutionary vanguard’ (P.122). Ultimately, it was the communist party, the vanguard of the working class, which had the task to take state power in order to destroy capitalism. When assessing the situation of the French working class at his time, Trotsky pointed out that ‘as long as the best elements of the French proletariat have not created for themselves a centralized Communist party, they cannot take state power, they cannot suppress the bourgeois police, the bourgeois army, and private ownership of the means of production’ (P.112). Overcoming capitalism, therefore, implied inevitably taking over state power and establishing the dictatorship of the proletariat. In his assessment of state power, Trotsky showed some understanding of the dangers implicit in the vanguard party taking over existing state institutions. Ultimately, however, the main danger was the return to power by the bourgeoisie. As he argued, ‘the dangers of state power exist under the regime of the dictatorship of the proletariat as well, but the substance of these dangers consists in the fact that power can actually return to the hands of the bourgeoisie’ (P.152). The potential abuse of state power by elements of the vanguard party was not part of Trotsky’s reflections. Unlike Marx, who emphasised the importance of abolishing and re-constituting capitalist state institutions in his assessment of the Paris Commune in 1871 (see also Karl Marx and the Dictatorship of the Proletariat! ), Trotsky does not elaborate on the institutions of the dictatorship of the proletariat in this set of writings. A continuing relevance of Trotsky today? Trotsky’s reflections on trade unions and the role of the vanguard party were very much influenced by his own experiences as one of the leaders in the Russian revolution as well as the times of his writing. While not all of his insights, therefore, find a lot of attraction today, at least the themes he raised continue to be important. First, the question of state power characterises many debates within the global movement of movements. On the one hand, there are voices supporting horizontal structures and an emphasis on non-hierarchical space for the free exchange of as many opinions as possible. Rather than taking state-power the focus is on establishing new, more egalitarian and progressive institutions in parallel to existing state institutions. Change the world without taking power is the prominent slogan, coined by John Holloway’s book of the same title. On the other, so-called verticalists emphasise the need for clear leadership through a new party in taking power in order to overcome existing exploitative capitalist social relations of production. Similarly, the relationship between trade unions and political parties remains a widely discussed issue amongst the left today. Many trade unions continue to have close links with social democratic parties. Nevertheless, considering the latter’s turn towards neo-liberal restructuring, these links become increasingly criticised by trade union members. What are the alternatives? Left parties such as the German Die Linkeor the Norwegian Socialist Left Partyhave also been in danger of compromising more radical policies with the desire to participate in bourgeois coalition governments (see also To be in office, but not in power!). There are smaller parties in several European countries, attempting to garner the support of the working class — the Socialist Workers’ Party in the UK, would be such an example, another could be the soon to be established new British party Left Unity. Overall these parties have had little success with their efforts to date. Perhaps, rather than privileging a particular party with the task of transformative change, there is the possibility that more radical alternatives will emerge from within trade unions? LO, the main Norwegian trade union, has loosened its ties with the Norwegian labour party in recent years. In times of elections, rather than simply asking its members to vote for the Labour Party, it has endorsed several parties close to its own, independently developed demands. In a way, this constitutes a different approach to the question of the relationship between trade unions and political parties. LO is independent from these political parties, but it still exerts a considerable influence at the political level. LO does not simply withdraw into the realm of production and the representation of workers in the workplace (see also Norwegian exceptionalism?). 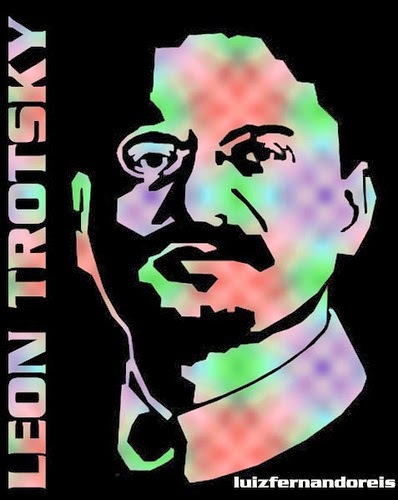 How might Trotsky respond? He may argue that one still needs to separate the issue of influence on policy-making from the issue of the formulation of transformative policy programmes. Influence in itself does not imply transformative politics. Perhaps, Trotsky would argue that there is still a need for a communist party, able to develop truly transformative or revolutionary programmes? The discussion of the links between trade unions and political parties is clearly here to stay.